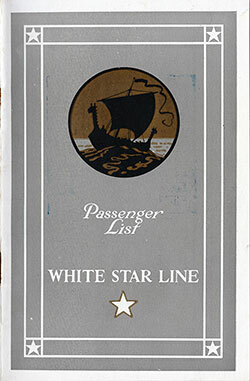 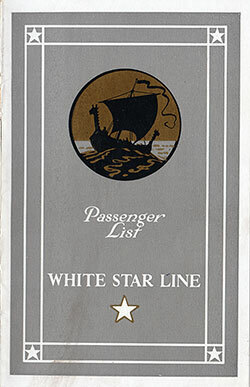 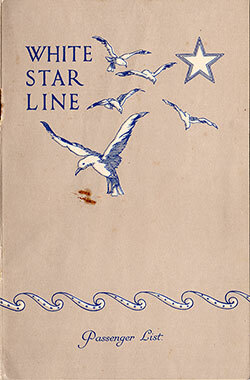 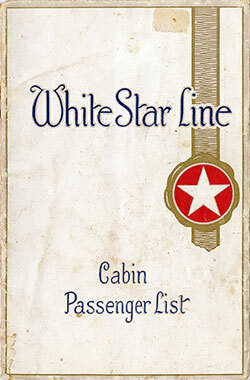 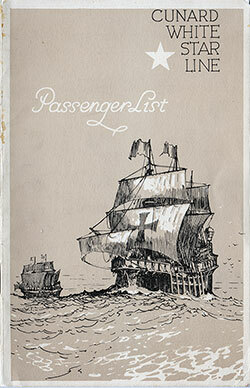 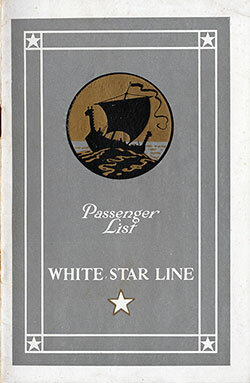 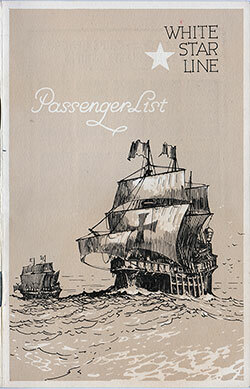 All White Star Line Passenger Lists available at the Gjenvick-Gjønvik Archives have been transcribed and uploaded. 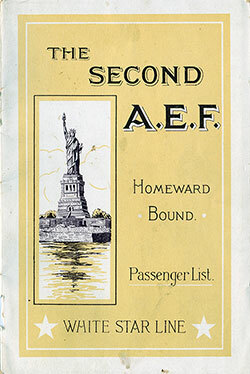 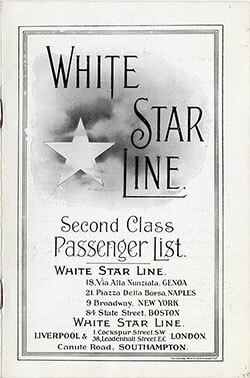 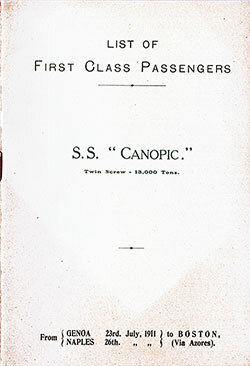 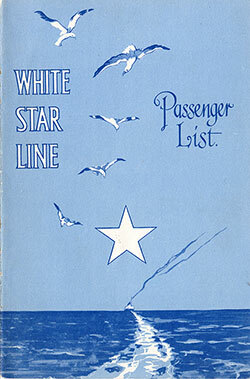 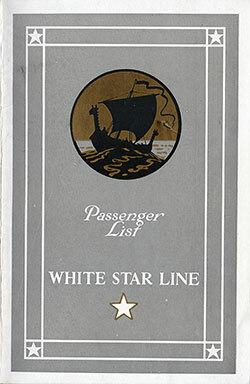 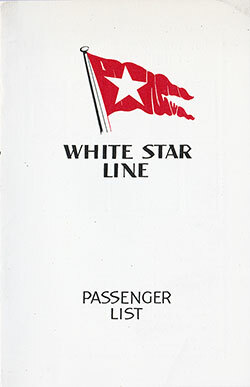 Many of these passenger lists include information for passengers and may include notable passengers, captain, route, dimensions and other information. 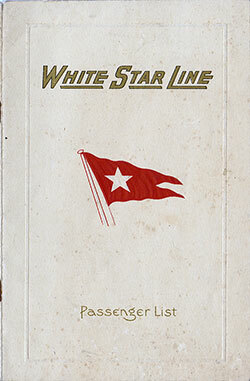 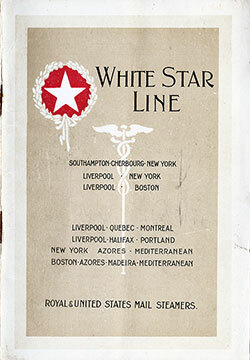 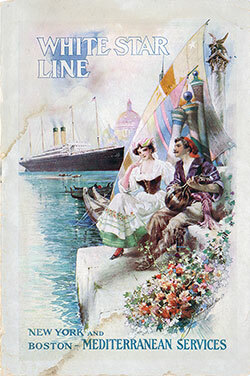 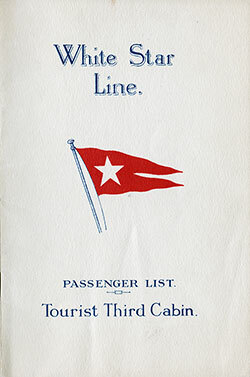 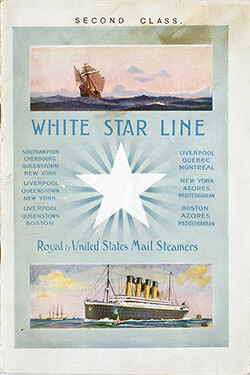 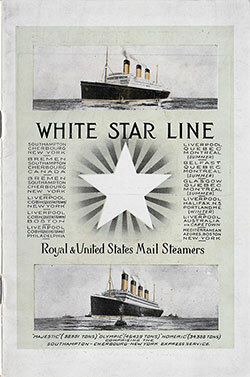 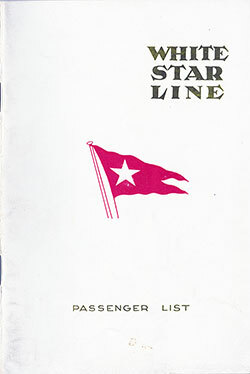 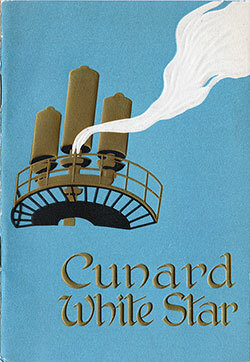 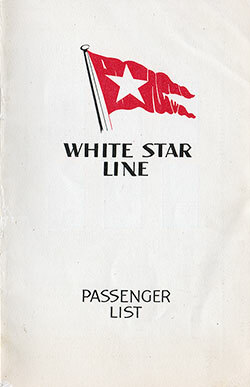 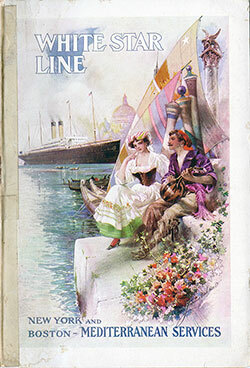 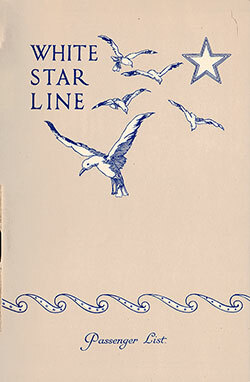 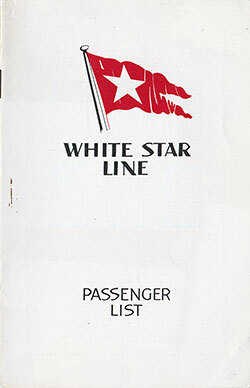 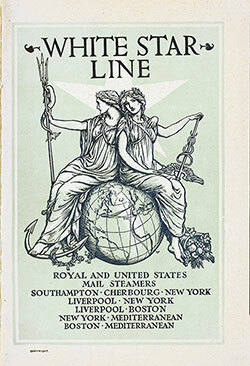 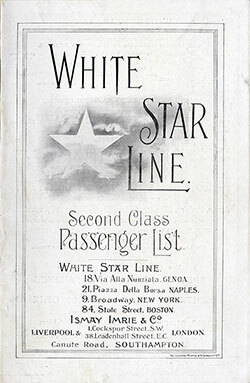 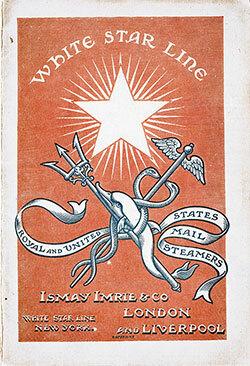 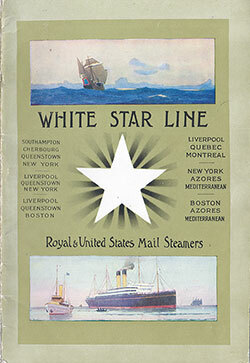 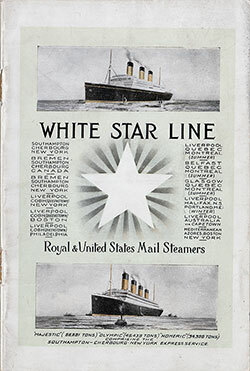 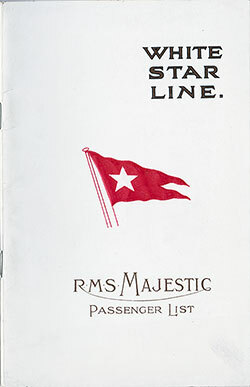 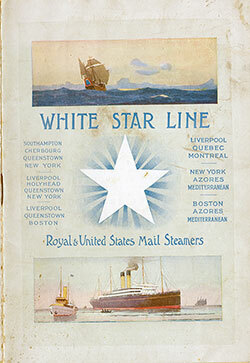 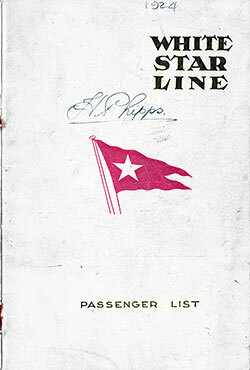 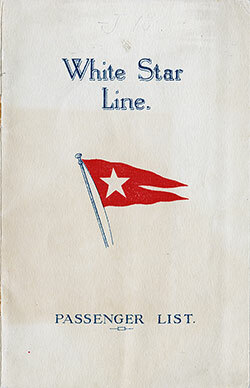 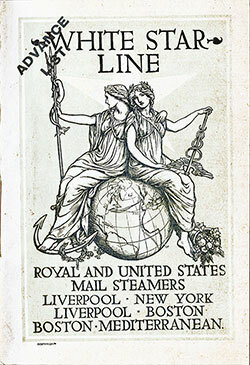 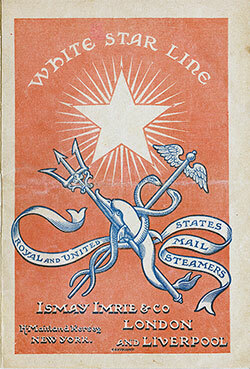 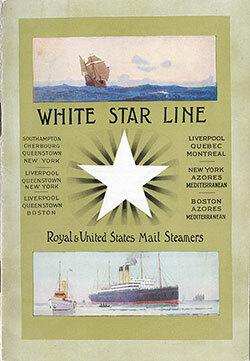 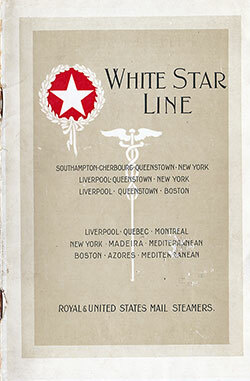 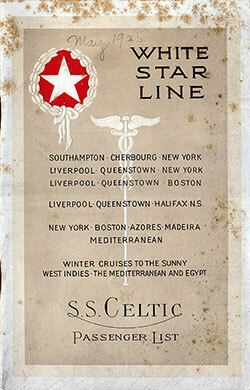 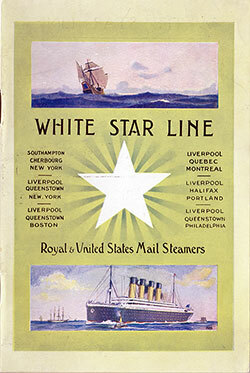 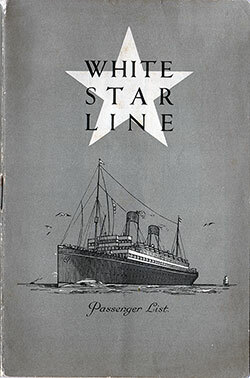 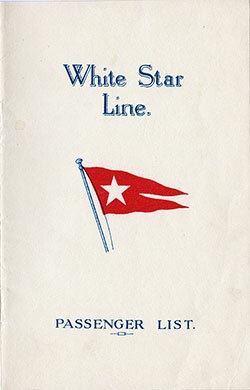 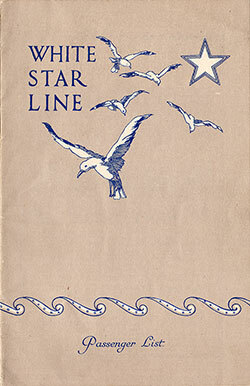 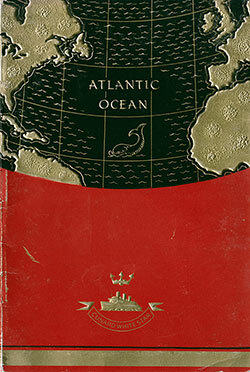 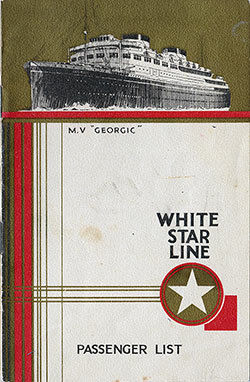 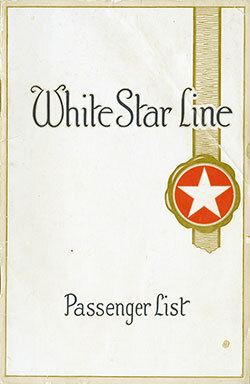 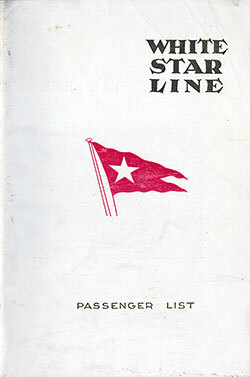 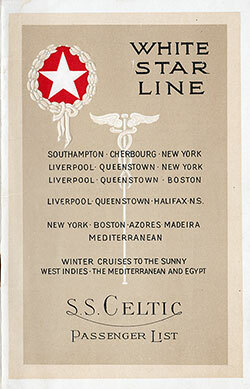 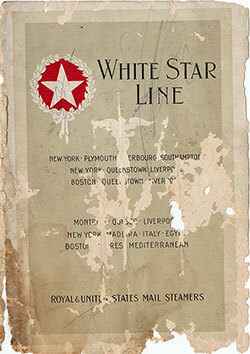 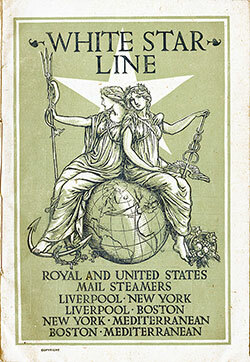 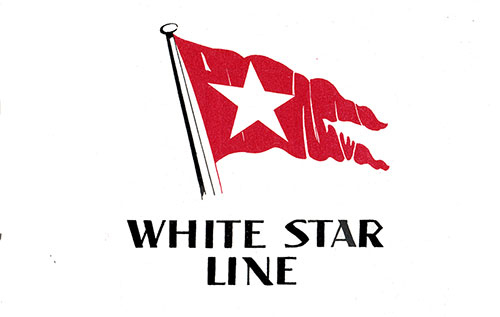 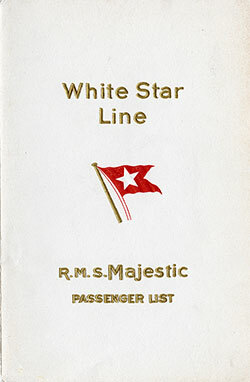 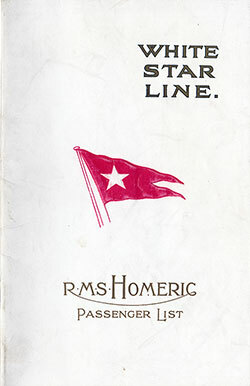 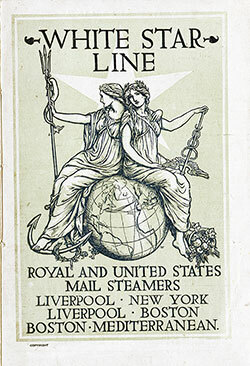 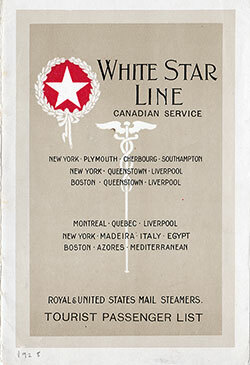 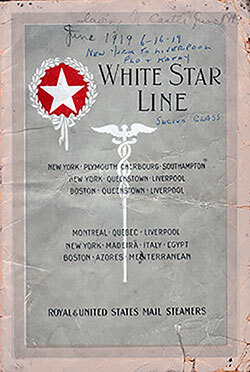 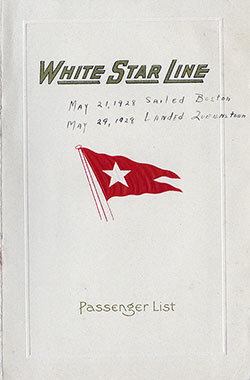 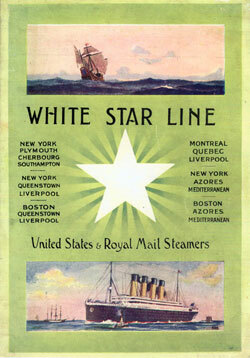 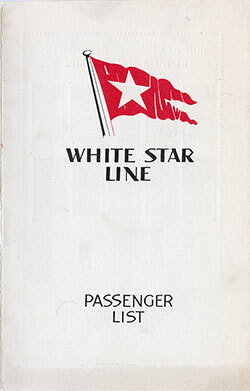 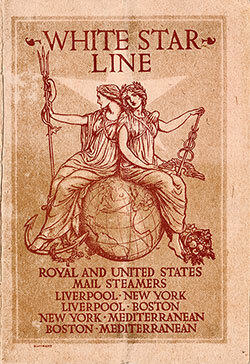 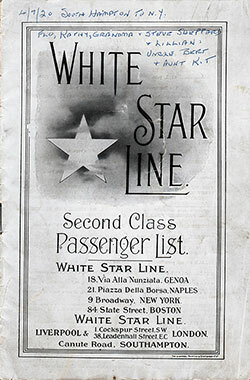 Be sure to visit our extensive White Star Line Maritime Collection for Brochures, Photographs and Other Historical Documents. 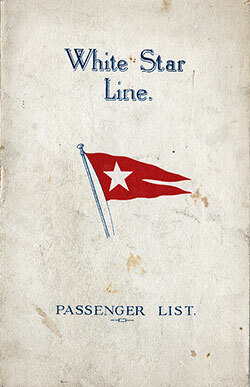 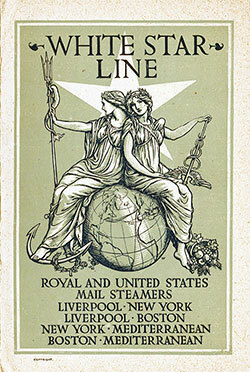 We also offer an online Titanic Memorabilia collection. 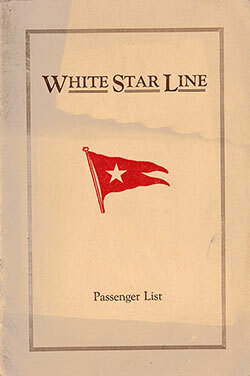 We will also included in the list below, passenger lists of the Cunard-White Star Line for vessels that ended in "ic" such as the Georgic. 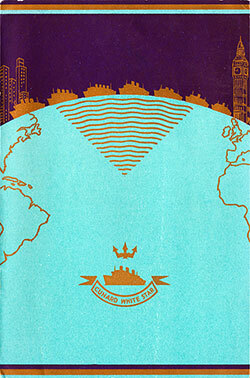 Commander: Captain J. 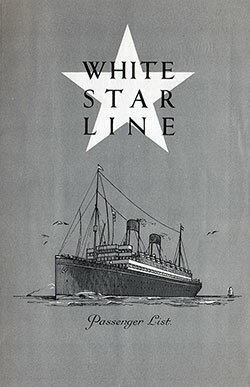 B. Ranson, O.B.E., Lt-Cmdr R.N.R. 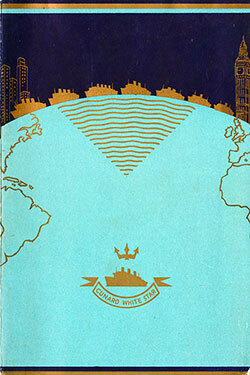 (Retd.). 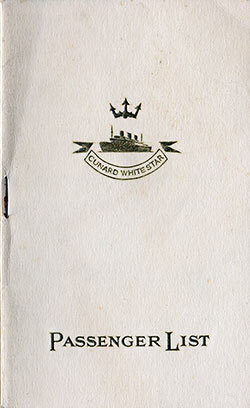 Commander: Captain Sir Bertram Hayes, K.C.M.G., D.S.O., R.D. 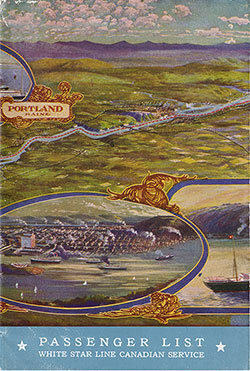 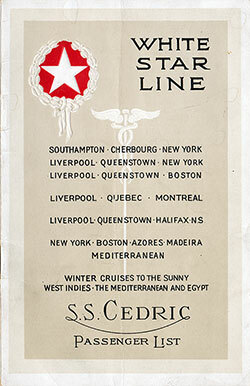 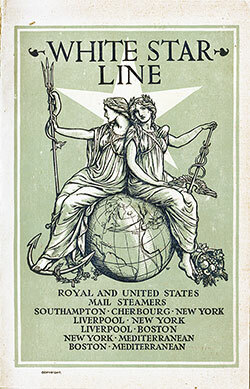 Route: Hamburg to New York via Southampton, Cherbourg, and Halifax, N.S. 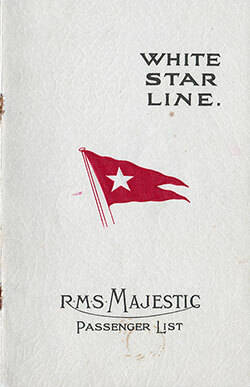 Commander: Captain G. R. Metcalfe, Lt. Cmdr. 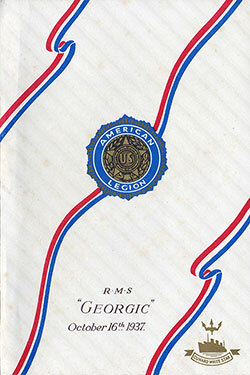 R.N.R., Retd. 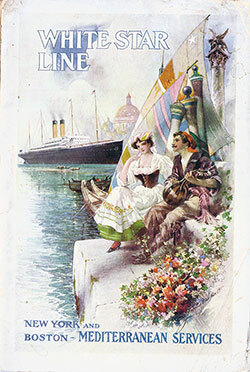 Route: Mediterranean Cruise from New York to Madeira, Gibralter, Algiers, Monaco, Naples, Athens, Constantinople, Haifa, Alexandria, Syracuse, Naples, Monaco, Gibraltar, Cherbourg, and Southampton.